Are you moving to France? DPH Removals offers a fantastic Removals to France service that covers all of France. We have over 20 years’ experience in France, especially in the Dordogne, Limousin, Brittany and Normandy areas. 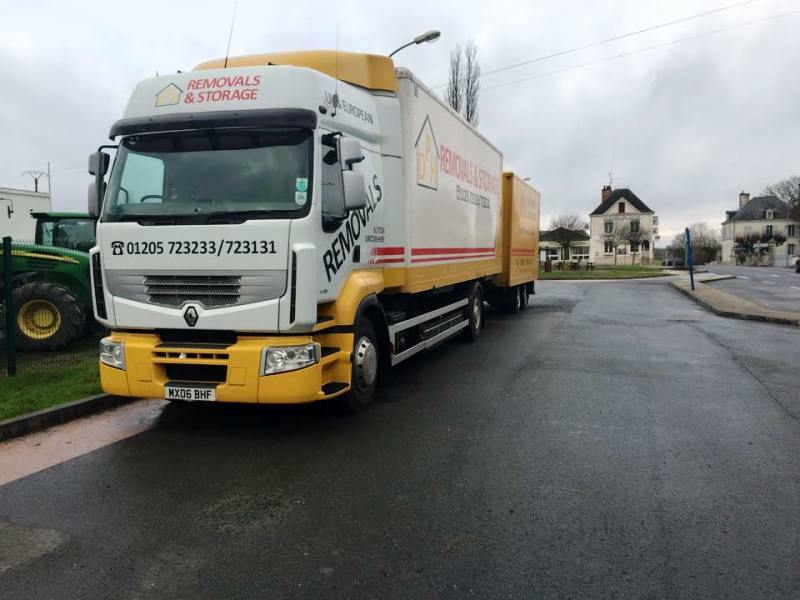 Furthermore the DPH Removals To France Service includes both full house removals and/or combined small amounts or part loads, therefore making a cost-effective solution for your move. If we are unable to view your premises because of distance, we now have an online survey form. This enables you to self-survey your property by going room to room and listing your belongings in as much detail as possible. To access this service please visit our online survey form. By choosing the DPH Removals to France Service you can be assured that your belongings will be treated with the utmost care by our long serving, professionally trained staff. If you are moving from France we can take your possessions to all areas of the UK. If you are not quite ready to move into a new property we also provide secure storage facilities. Our 24-hour, CCTV monitored, secure premises are based in Lincolnshire and we can store your goods until needed. Whatever your requirements, our flexibility allows us to tailor a bespoke service for all your removal and storage needs whether moving to France or moving from France back to the UK.